For more information on any of these projects — or to volunteer to work on one — contact the Vice President of International Service. Rotary International began to focus on the eradication of Polio as early as the 1970s. 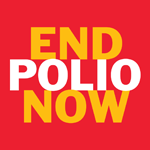 In 1985, when Rotary International launched PolioPlus as a global effort to eradicate Polio, there were 350,000 new cases of Polio in over 120 countries. Since then, we have welcomed The World Health Organization, the US Centers for Disease Control, UNICEF, and The Bill and Melinda Gates Foundation as full partners in the effort to eradicate Polio. And we are nearly done. In 2017, there were only 8 new cases of wild Polio in just two countries. We expect that number to dwindle to zero very soon. The Rotary Club of San Francisco has been committed to this project since its earliest days. In 1988, our Club raised more money to fight Polio than any other Club in our District, which raised more money than any other Rotary District in the world that year. Several of our members have participated in National Immunization Days and other activities focused on the elimination of this dread disease. 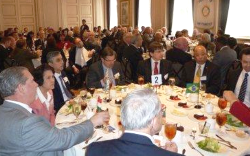 In March every year, we honor the Consular Corps of San Francisco at a special luncheon that features a speaker on a topic of global interest. World Wide Rotary Day is one of our most popular programs of the Rotary year. Club members founded Rotaplast and Alliance for Smiles, organizations that offer free surgeries to children with cleft lip and cleft palate, and give local practitioners the skills and tools they need to continue the work. Our Club partners with Roots of Peace to convert fields of land mines to fields of crops. Club members have traveled to Croatia to plant grape vines and to Vietnam to plant black pepper plants. 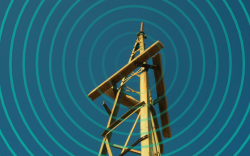 We are expanding a youth-to-youth radio station in Kenya that broadcasts critical health, environmental, and cultural programming while providing a foundation for local income generation through advertising and sponsorship.